The midfielder Xavi became the legendary football player of the present time for his low height, agility and his persistent training and brilliant technique of the field game. The pupil of Barcelona F.C. spent his best years of sports career in the club which had become the second home for him. Now the Spanish football player prepares to become a coach. The football player was born on the 25th of January, 1980 in a Catalan town Terrassa, Spain. The boy's father, Joaquim Hernandez, was the football player of independent teams in the past. Then the man was engaged in the coaching. Besides Xavi, there were two elder sons in his family. 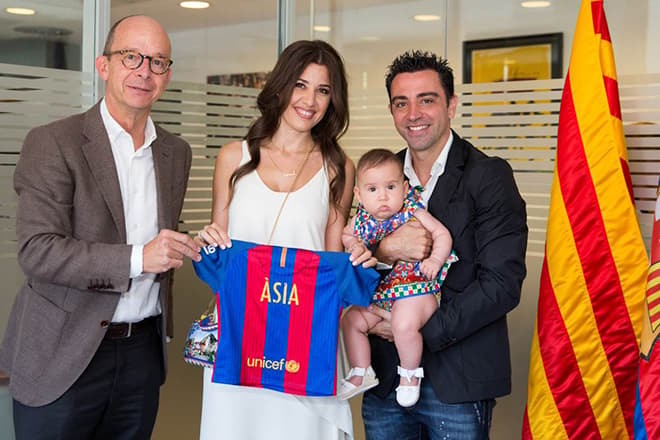 His parents wanted to have a daughter though the girl was born to them only from the fourth attempt, after Xavi's birth. The Spanish football player remembers that he shared his room with his sister. For the rest of life, he had very close relations with his sister Ariadna. Since childhood, the girl adored sharing secrets, emotions, and experiences with her brother, and children could talk till late at night. Xavi tells that when he was a boy, he was playing video games with great pleasure. To do this, he had to make his way to the room of his elder brothers for what he sometimes got a thrashing. However, the football remained the real passion of the future famous midfielder, as well as of the rest of the family members. His elder brothers attended sports school; his sister was also good at kicking the ball with the boys. 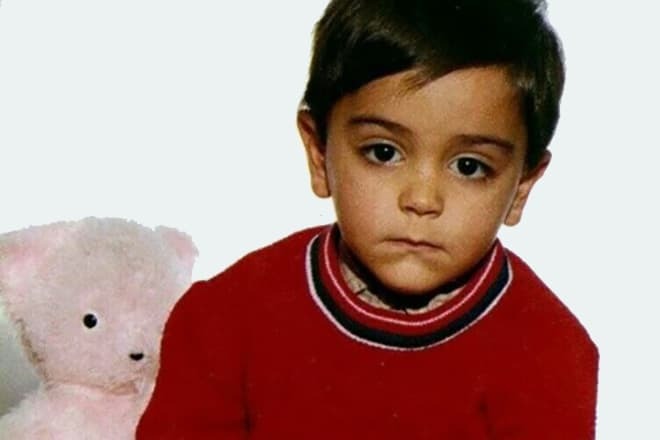 What about Xavi, already at the age of three years he participated in street matches and attended his brother's training. At the age of five, the boy began to join in sports school officially. At the age of nine, he transferred to the school of the local football club under the direction of his father. The midfielder remembers that his grandfather Jaume was a keen cheerleader and a fan of the game in their family. He took his grandsons to the training; he was proud of their progress. Moreover, he passionately supported Barcelona team and was ready to fight with the fans of Real Madrid. 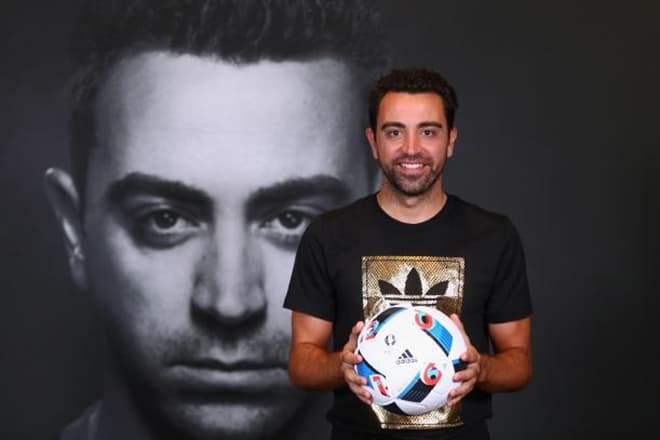 His grandfather was the first who had seen the potential and skills of his grandson and had stated that Xavi was destined to become the extremely famous football player. The boy's mother together with other members of the family supported her son in his choice of the future career when his results at school began to deteriorate because of the increasing number of training. The woman told the director of the school that Xavi was going to have different future. She said that if a year later his practice didn't lead to any results, then the parents would think about the education of their child. When Xavi turned 10, there was held the selection to the children's football academy of Barcelona F.C. His parents were preoccupied with the low height of his son. But his studies of the technique of the game on the field and diligence during the training had given its results. The coaches of Barcelona team informed the father of the young sportsman about the fact that they were ready to accept the pupil. However, nobody told the football player about this. Joaquim didn't want his grandson to loosen up too early that's why the boy did his best on the field. By the way, the sportsman has a low height of 168 cm that isn't typical for the Spanish field player on the half-back position. 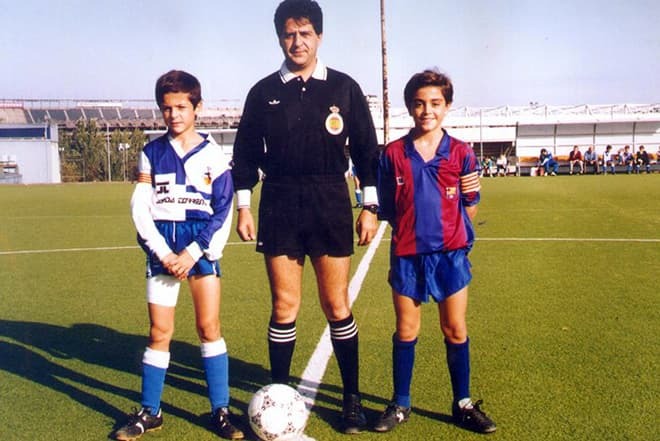 Xavi as a member of Barcelona F.C. The star of Barcelona F.C. began his football career as a member of youth pre-team of the glorified football club. However, in a short time, at the age of eighteen, the football player debuted in the primary structure. In 1998 the young man appeared on the field in the match for Spanish Super Cup. During the season of 2004-2005, the midfielder got the status of the vice-captain of the team. Next year turned out to be unsuccessful for the football player. During the training, Xavi got a ligament trauma of the left knee and left his team for five months. Being the midfielder, the star of Barcelona F.C. didn’t distinguish with the impressive statistics of the number of scored goals. But it wasn't his primary goal. Efficient touchdown passes, high technical skills and broad vision of the playground – these are the "business cards" of the football player. For his brilliant passes, Xavi repeatedly was entitled the best player. In 2014 he was the first in the Champions League who had made 100% of point passes. 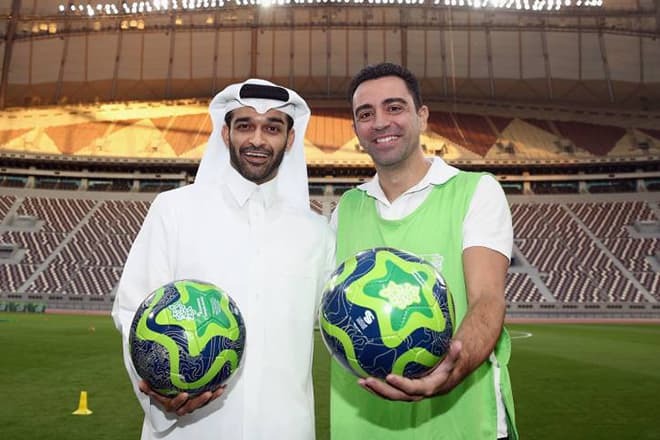 Xavi in Al Sadd F.C. Having spent decades of his sports career in Barcelona football club in 2015, the midfielder concluded the contract with Qatar Al Sadd F.C. At the time of his transfer to the new team the football player became one of the highest paid footballers in the whole world. His salary reached the sum of €10 million a year. Xavi also distinguished himself in the international football career. In 2000 the sportsman for the first time appeared on the field as a member of Spanish national team in a friendly match with the team of the Netherlands. In general, Xavi had played 133 games for the national team and had scored 13 goals to the rival's gates. In 2014 Xavi officially announced the end of his international career and leaving form the national team. In 2013 there was held the wedding ceremony of the midfielder and his beloved Nuria Cunillera, who works as a journalist. The young spouses have been in a relationship for a year and a half before their wedding. The lovers celebrated their wedding in the Spanish town of Blanes. At the wedding photos, one can see the famous colleagues of the football player from the club (it was Barcelona F.C. at that time) with their wives and girlfriends. The couple spent their honeymoon in Seychelles. They returned from their travel and got to the beginning of the sports season. Xavi is engaged in charity activities. It’s noteworthy that the couple transferred the money presented for their wedding to the construction fund of the oncological clinic for children. At the beginning of 2016, his gorgeous wife gave birth to their daughter Asia. The parents adore their baby and publish lovely and amusing photos with her in the social networks. Also, the midfielder shares his daughter's pictures with the subscribers on his page on Instagram. Except for soccer, Xavi has fancy for tennis and hockey; he enjoys driving the motorcycle. He still has cordial relations with his parents and helps them in promotion and development of small family construction business. Transfer of "the king of the pass" to Qatar club is also connected with the opportunity to begin trainer's career. Under the contract's terms, the midfielder will work as a coach for young beginning football players. Upon the conclusion of the contract with Al Sadd the legendary player plans to get the job of the sporting director of Barcelona football school "Vila Olimpica". In April 2018 there appeared the information that the Spanish player together with other sixteen colleagues on La Liga started training for UEFA coach license. Together with the midfielder the famous forward of Real Madrid - Raúl became the member of this group. In a year after receiving the licenses, the former players will be able to head any football club. The Spanish player doesn't conceal that he dreams of returning to Barcelona F.C. in the quality of the coach.